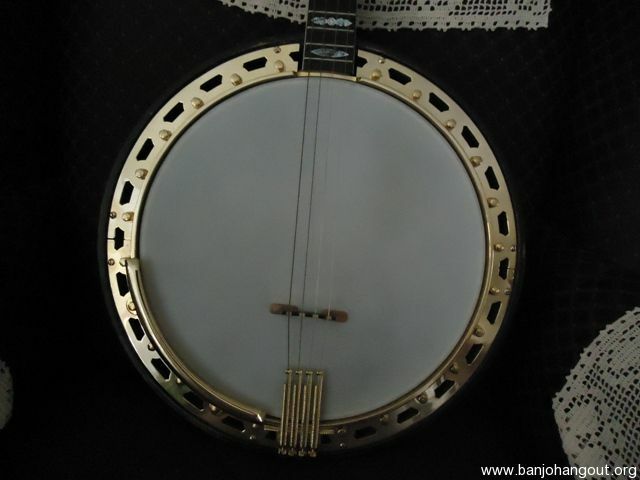 A beautiful VegaVox III tenor banjo circa 1930. Its over all condition is good +++. All visiable metal parts have been re-gold plated. 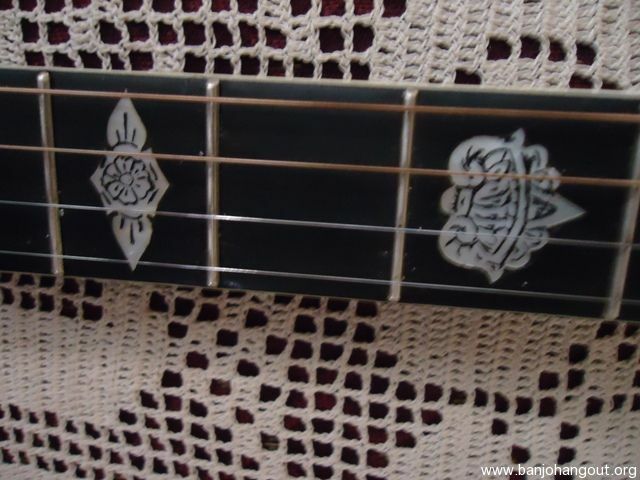 The fingerboard inlay has be re-engraved. 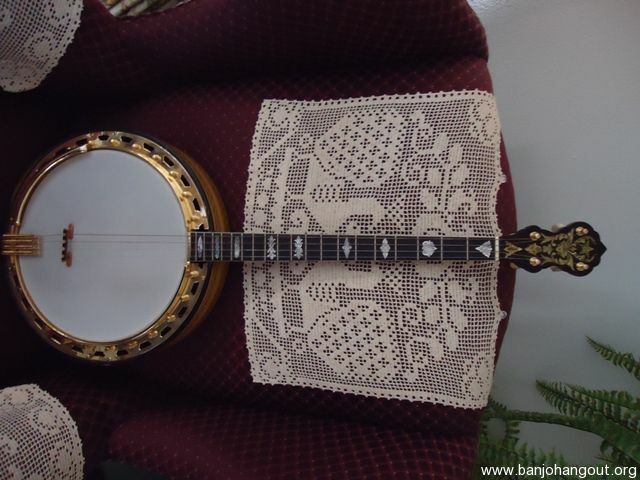 It has a new engraved Ottinger style tailpiece along with a Farquhar bridge. The head is also new. 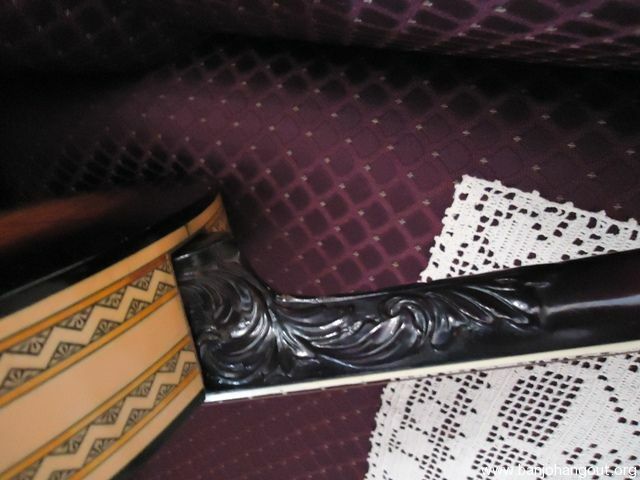 Note the carved heel on the neck. There is a very small area where the finish has flaked off on the peghead. 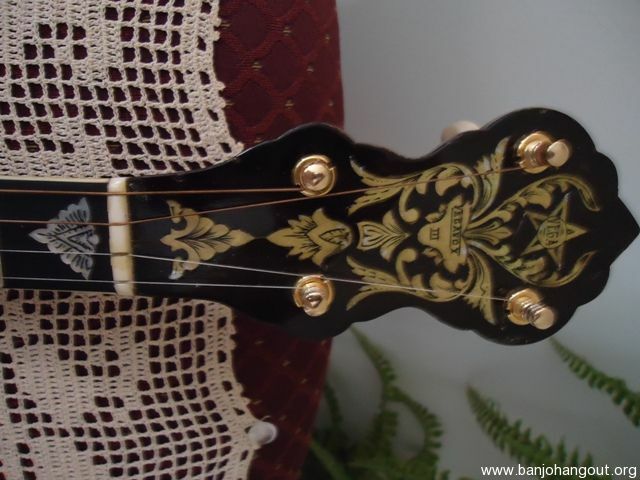 The lacquer has also flaked off one of the flower petals on the back of the peghead. There is a wear spot on one side of the neck. Plays and sounds fantastic!!! Old HSC.